2017 was a record-breaking year for family films at the Irish Box Office. There were six family films in the box office top ten, that’s twice as many as last year and more than ever before. 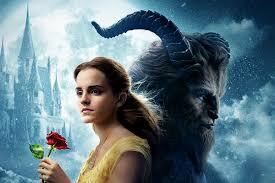 It was also the first year a family film took the top spot since Despicable Me was the highest grossing film of 2013. According to Wide Eye Media, family movies accounted for 30% of all box office receipts with beauty, beasts, babies, bears, baddies, Batman and Buster Moon among the biggest attractions. Only 4 films in the top 10 weren’t family movies - Star Wars: The Last Jedi, Dunkirk, It and Guardians of The Galaxy Vol. 2. 7 of the top 10 were sequels, remakes or part of an existing franchise, the other three being Dunkirk, Boss Baby and Sing. Horror films also enjoyed a resurgence throughout 2017 with It, Split and Get Out all grabbing the critics as well as huge audiences and It making it to 7th place in the top 10. This was also the first time a horror has entered the top 10 since horror comedy Scary Movie took 7th place in 2000. Star Wars: The Last Jedi was the most-seen sci-fi movie incredible considering it was only released during mid December giving some indication of the large figures that went to see it! Dunkirk was the No. 1 drama. La La Land was the most successful musical as well as the most popular romance. Cardboard Gangsters, which was filmed and set in Darndale in Dublin, was the top Irish film.